1. A Baby--Barring any medical complications the baby is the first thing you need to breastfeed and once you have one of those you're good to go. Some babies may have a hard time with breastfeeding at first but usually there is a root cause that can be fixed. Babies don't hate breastfeeding, they love it! 2. Breastmilk aka YOU--More likely than not your body is going to produce just the amount of breastmilk that you need for your baby. The most important thing to remember is bring your baby to your breast as much as possible and let them nurse nurse nurse. It is NORMAL for them to nurse every 1-2 hours. Breastmilk works on a supply and demand basis. 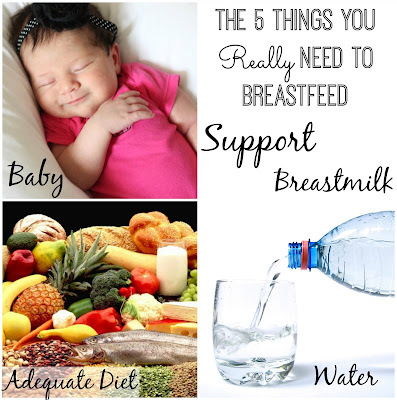 The more is demanded (through breastfeeding and even pumping) the more supply you will have. So nurse that sweet babe on demand! 3. Support--You'll need support through this entire process some of it relies on other people, your partner, friends and family. But a lot of it relies on you too. Making sure that you know a lot about breastfeeding before actually needed to breastfeed and asking for help when you need! If it's late night and you're in a pinch send a message to our FB page, tweet on twitter with the hashtag #Breastfeeding or #BFCafe or check out Kellymom.com. 4. Adequate Diet--It takes a lot of effort on your body's part to make breast milk so it's important to make sure you're eating correctly, so that your body is energized. Make sure you're getting lots of fruits, vegetables and protein in your diet. One way you can help with this in the early months when you're exhausted is by preparing freezer meals before you have the baby and having quick and healthy snacks on hand. Think pre-washed salads, apples, carrots, etc. 5. Water, Water, Water--Whenever I sat down to nurse Mason or Kyla I tried to make sure that I had a bottle of water on hand. Water is key to milk production and not staying hydrated can actually cause you have low supply. So drink up ladies! Do you agree or disagree? 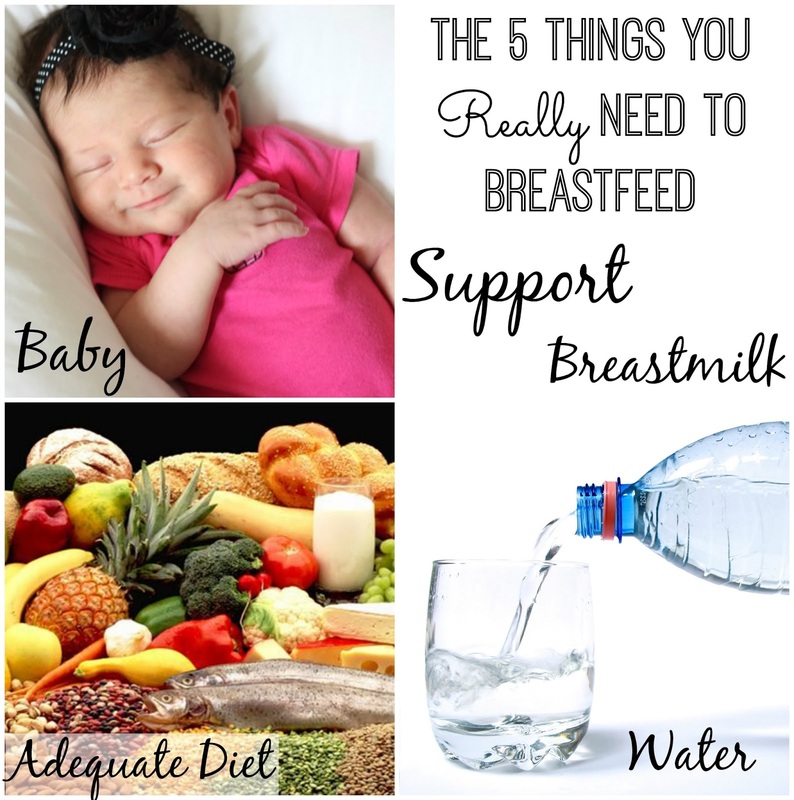 Is this really all you need to breastfeed successfully? If not, what else do you think should have made the list?